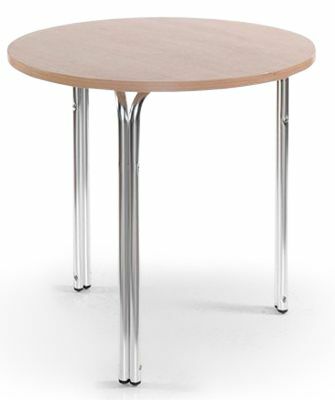 Commercial use value cafe table with a durable aluminium frame and wipe clean MFC top in Beech. Available from stock for a free next day delivery for your convenience. 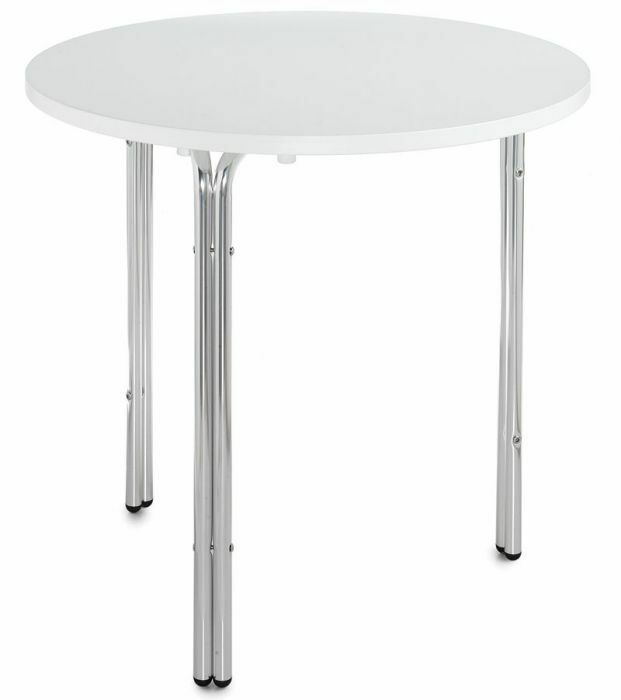 Sturdy design brilliant value chrome table with a round MFC finish top. 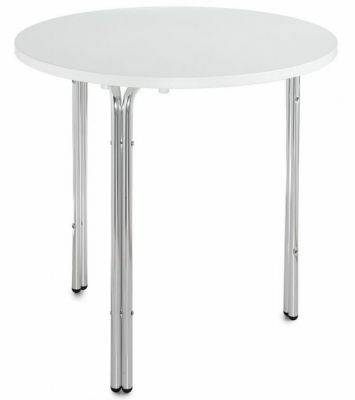 Includes a free delivery for UK customers.